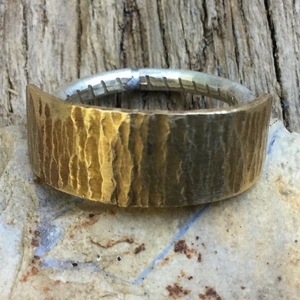 Hand hammered brass with sterling silver band. 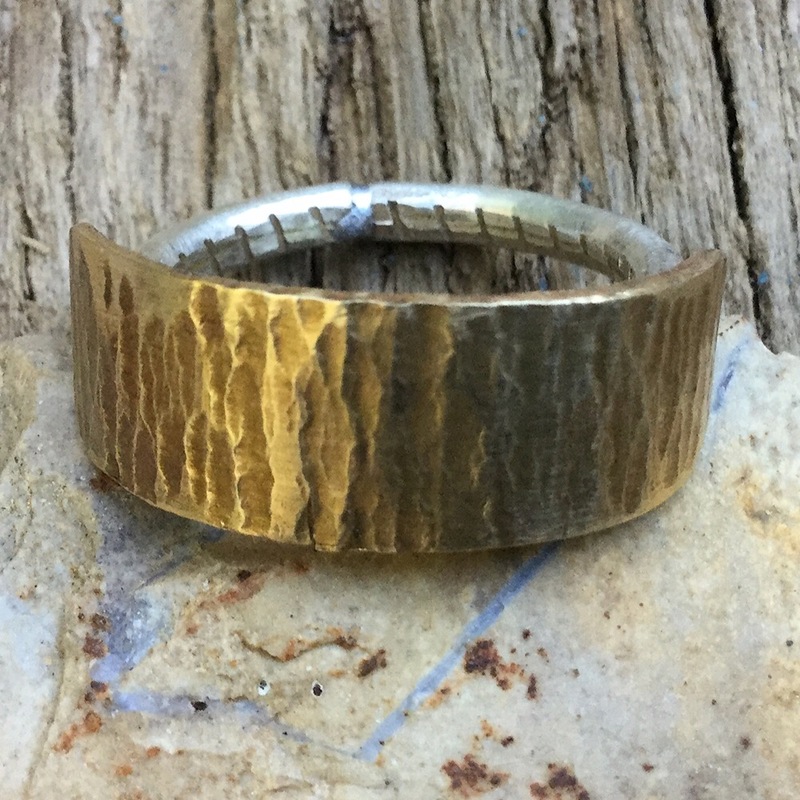 This ring could be his or hers. Made in the USA by The Fun Company.